When will Mercedes start building Sprinters in the USA? Mercedes has to disassemble every cargo Sprinter van it ships to the USA, and then reassemble it over here. That’s to avoid the chicken tax. They worked out it costs them around 7% more on the vehicle price to do this, but that’s still better than paying the 25% tax. Now that there’s a large enough market in the USA for Sprinters, Mercedes is building a plant in Charleston to make them directly in the USA. Its opening will probably coincide with the introduction of an updated Sprinter model. So, should you hold off on buying a Sprinter until the US plant is up and running? Well, as of early 2017 it looks like things won’t be on line until 2019. That’s a long wait. Gossip on the Sprinter forum also suggests that the new design won’t happen until 2019 and that if you want a 4×4, those won’t start production until after the 2×4 models have been built. So sure, you could hold off until the new models arrive. You’ll probably get some nicer interior touches and perhaps an exterior facelift. You’ll most likely get a better engine and transmission combination, too. But you’ll be buying a vehicle that is in its first year, so it won’t have the kinks ironed out yet. If you’re planning a conversion, many of the off-the-shelf aftermarket parts will be unlikely to fit. 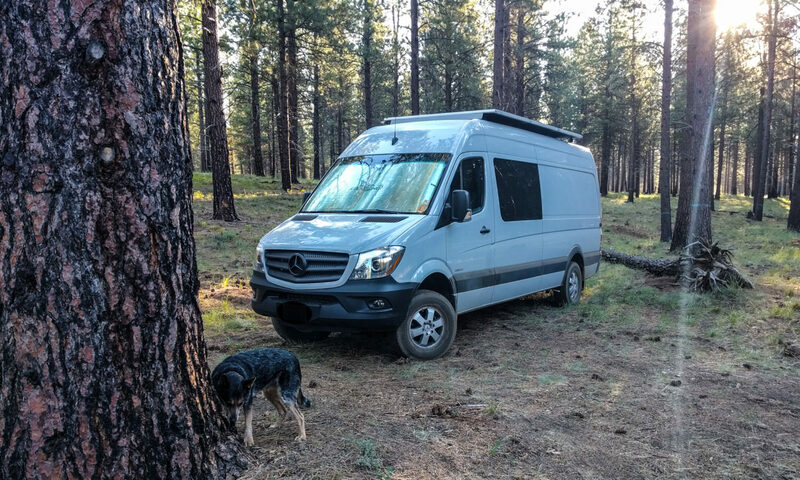 In the two years between now and then, you could put a lot of miles on a 2017 Sprinter. Considering the great resale value that Sprinters command, even if it’s suddenly the “older” model when you go to trade it in, you’ll probably still do OK. Image: Sprinters parked up at the North Charleston assembly plant, via Google Earth.